Shake Shake Shake, ya smoothie. 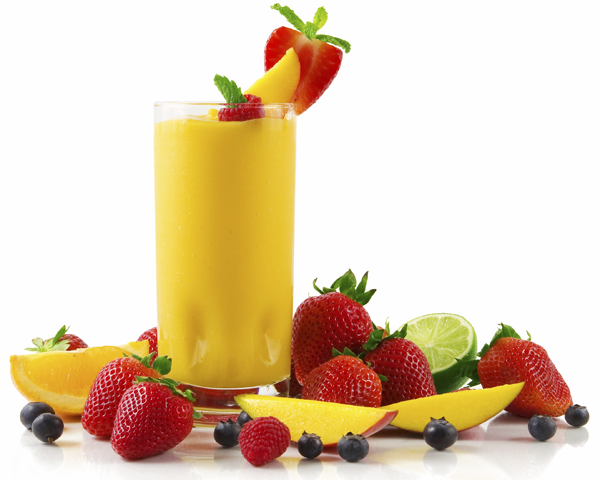 When the weather gets warmer–you know it is time to break out the blender for Margarit—I mean SMOOTHIES! I created some tasty recipes that might satisfy that sweet tooth, while getting those nutrients! Some milk so it blends well. If you use frozen fruit you probably won’t need ice. Ice if needed, milk if creamier desired. *if you are interested in a sweeter flavor invest in some agave nectar! Add a few squirts of that and you should be good. 1.) Any leafy greens, I prefer fresh ones because you are exposed to more nutrients. 2.) Peanut butter or almond butter (it sweetens it up); I prefer the natural PB that you have to keep in the fridge because it doesn’t have the added sugar. 4.) Experiment! You will find what you love the most and can stick with that. 5.) Invest in straws…if you don’t really like the flavor it makes drinking it go by way faster! 6.) Coconut oil is soooo good for you and tastes great as well, add it to your favorite smoothie and gain all the benefits of that. 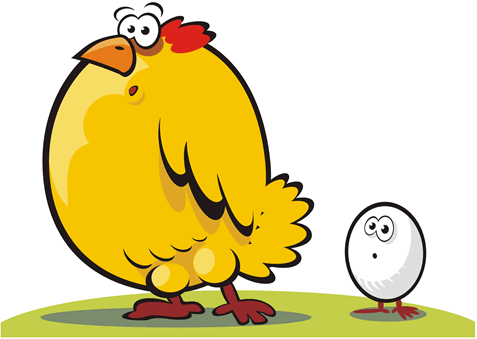 Which came first the chicken or the egg? Good morning blogging world! Sorry I missed posting the last two days…school and work caught up to me after the birthday weekend. Do you ever feel like you don’t have enough time? That’s one of the most popular excuses for not eating healthy. But my friends, food can be fast and STILL healthy! It’s all about preparing and planning. When I know I have a difficult or busy week ahead I plan accordingly. 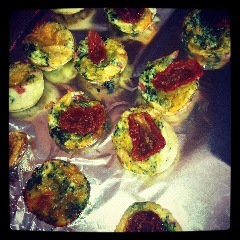 One of my favorite quick meals on the run is mini crustless egg white quiches! I make them Sunday and they usually last me the entire week when I freeze them. Below will be a recipe I use, however, I’m not a carnivore so you can experiment if you want to add meat…although challenge yourself to eliminate as much meat as you can from your diet. The health benefits of eating more of a Mediterranean style diet have been shown to have an enormous impact on our health (and will be written about in a post soon after this one)! Add 1-2 scoops of plain greek yogurt, this serves to give it a little creaminess, very nice addition! EAT UP! Or do what I do and put in a freezer ziploc bag and store in freezer once they have cooled. You will be able to heat in the microwave throughout the week for 30 seconds or so, adjust according to preference. 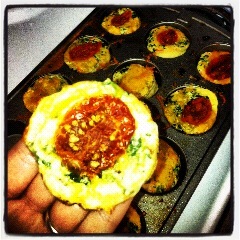 Importantly to note the quiches absorb water so you will want to press a paper towel into it to remove the water. Drizzle siracha (spicy thai sauce) onto it for additonal spiciness! Great snack or have 2-3 for a quick meal! Also, a great hors d’oeuvres option! Ultra-upset I’m not at Ultra….